The ultimate in windshield technology. 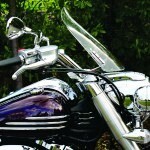 Looking for a motorcycle windshield that provides superior wind protection without all the bulky hardware showing? Your search ends here! 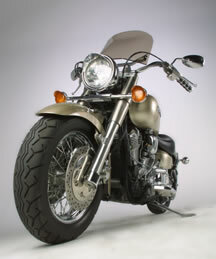 This sleek windshield does the job and looks stealth and stylish at the same time. 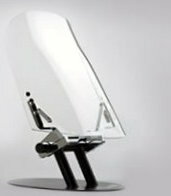 The 5mm hand molded acrylic windshield is very thick for added durability but deceptively sleek. 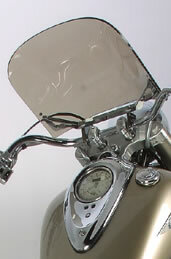 The front surface has 2" side contours with an integrated deflector. These contours are designed to create a wind flow diverting pressure away from the chest and head. This is serious windshield technology! Easy to install and quickly removed by two Allen wrench bolts. Designed for easy adjustable making up and down adjustments simple. 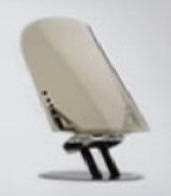 Mounting hardware is precision-machined, chrome-plated aircraft billet aluminum.